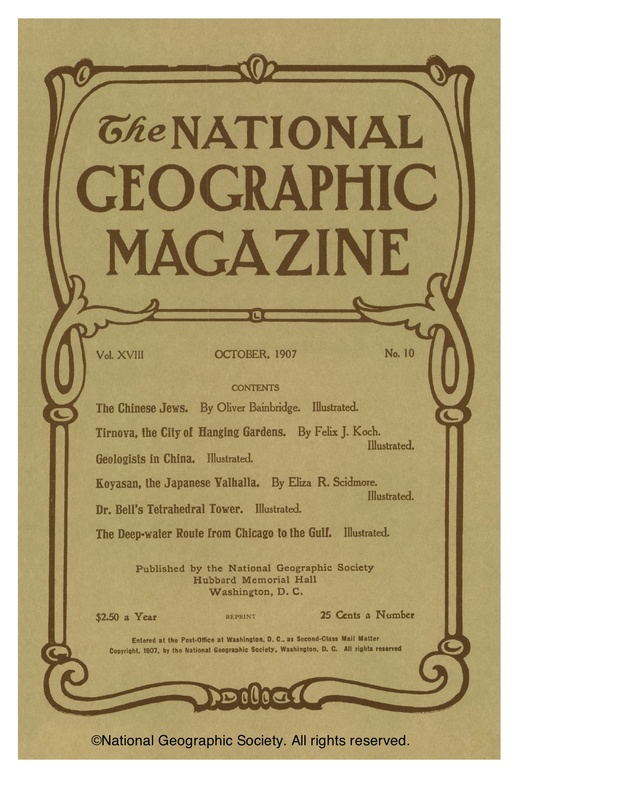 Looking at National Geographic back issues is not only a lot of fun but offers snapshots of a place over time. 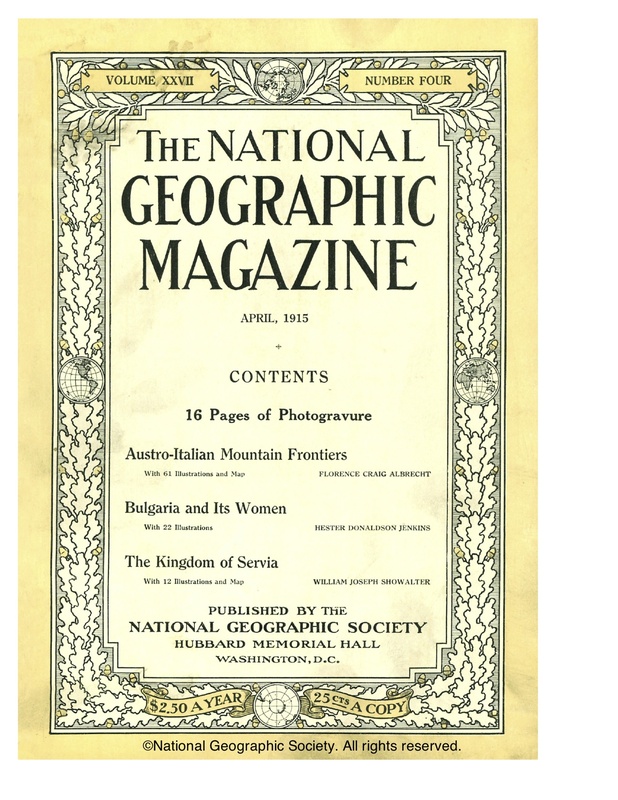 The National Geographic Society first turned its attention to covering Bulgaria in February 1903. For the next three decades, the magazine’s writers explored Bulgaria’s history, its place in the region, its current development, and its great natural beauty, and they offered assessments of its national character and predictions for its future. The writers too often displayed the prejudices of their time, ascribing strengths and weaknesses to various European and “Oriental races”, and they sometimes offered conflicting assessments. But they also unknowingly provided fascinating historical parallels: what they observed in Bulgaria’s potential and progress after the long period under the Ottomans is often echoed in contemporary Bulgaria’s potential and progress after the long period under Communist rule. The resurrection of the Bulgarian nation is one of the wonders of the past century. 1Curtis, William Eleroy. The Great Turk and His Lost Provinces. 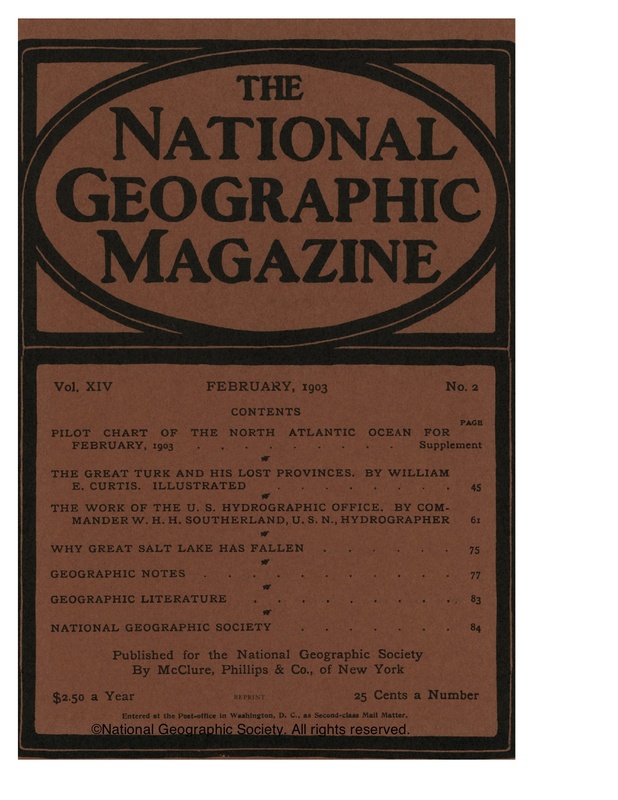 National Geographic Magazine, February 1903. 2Koch, Felix J. Tirnova, the City of Hanging Gardens. National Geographic Magazine, October 1907. 3Bulgaria, the Peasant State. 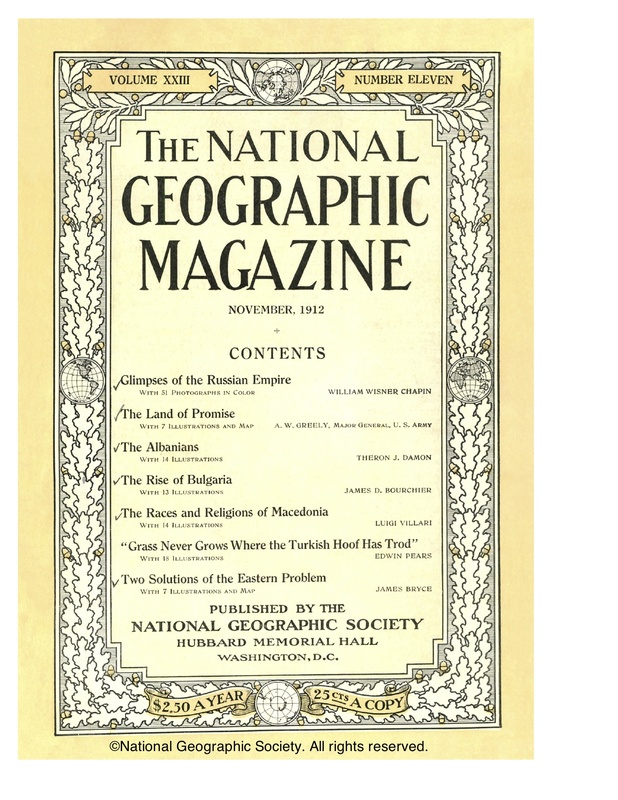 National Geographic Magazine, November 1908. 4Bourchier, James D. The Rise of Bulgaria. 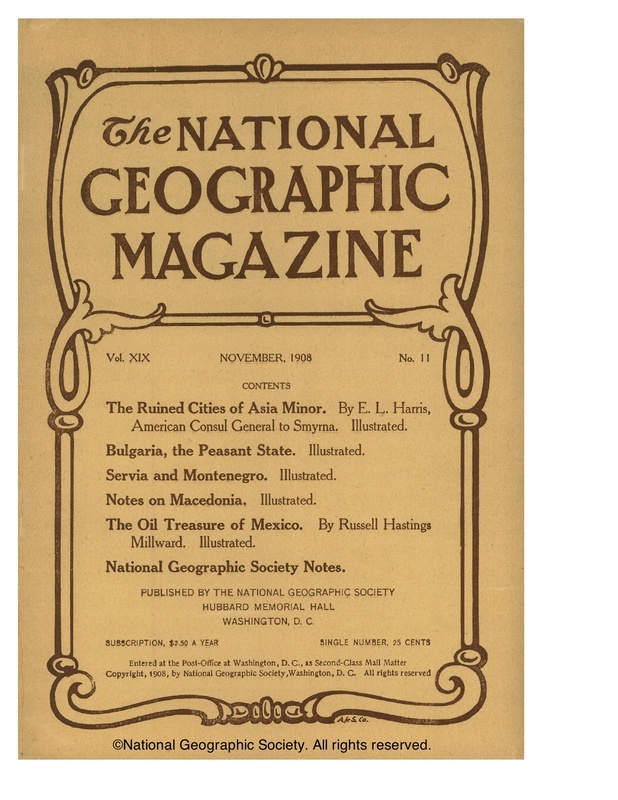 National Geographic Magazine, November 1912. 5Jenkins, Hester Donaldson. Bulgaria and Its Women. National Geographic Magazine, April 1915. 6Moses, George Higgins. The Whirlpool of the Balkans. 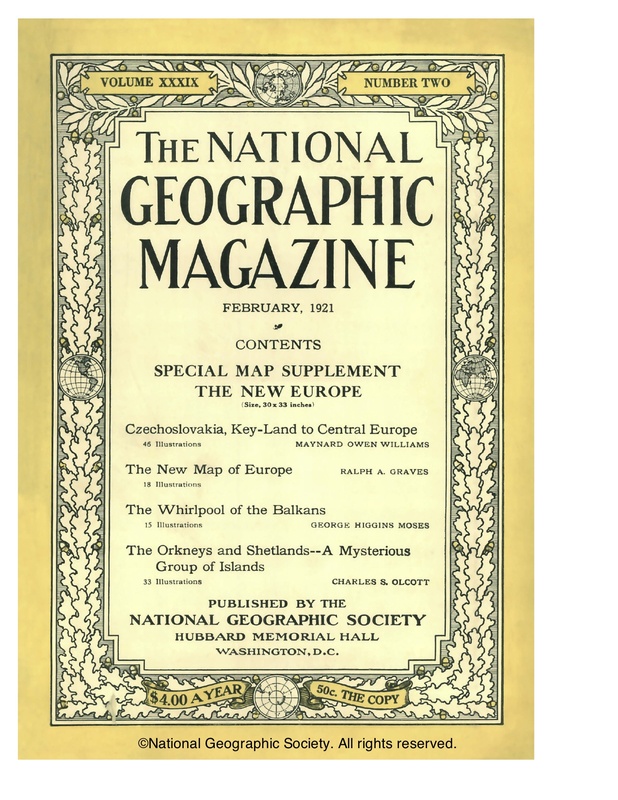 National Geographic Magazine, February 1921. 7Williams, Maynard Owen. Bulgaria, Farm Land Without a Farmhouse. National Geographic Magazine, August 1932. Thanks so much. I hope to be able to see the film someday soon. Please let me know if it will ever been shown in DC. If ever there was a comprehensive review of everything Bulgarian this would be it. One of the most thorough posts around, especially with the evident similarities between national character and progress and leadership. I very much appreciate your comment as I did strive both for a comprehensive review and a way of looking at a culture and country beyond the usual “shake the head for yes, nod for no” and variations on that sort of theme. Thank you for giving the blog post such a close reading.